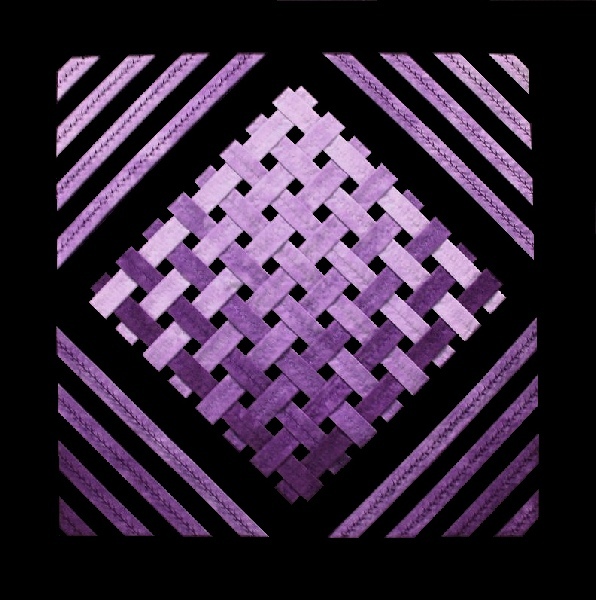 Tubes of strips of an eight-step gradation of hand-dyed fabrics are woven on a black background fabric and secured by stitching around the edge to make the centre square. 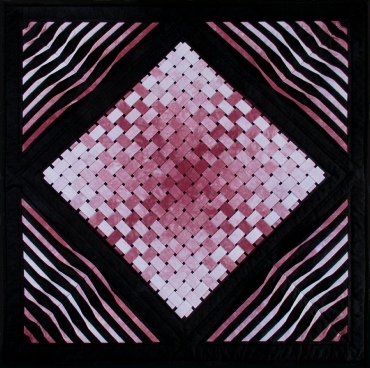 Folded strips of the same eight-step gradation are sewn in-between black strips to make the four corners. Machine quilted in the ditch around the centre square and in the border. 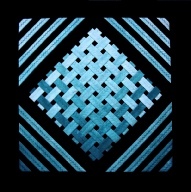 Although the quilt is made using colour B-29, other options are available, see the quilts (Woven Gradation 1) below.